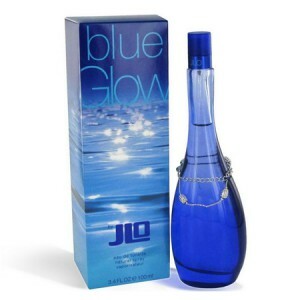 JLo Blue Glow became a wonderful gift for stylish young lady. 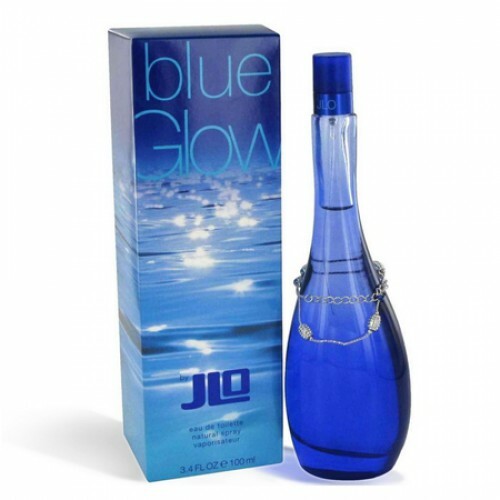 JLO Blue glow 100ml. Eau De Toilette - Delicate, light, fruity and floral women Jennifer Lopez perfume Blue Glow - Is the embodiment of modern energetic young ladies in 2010. Young lady attracts everyone around her with his charisma and cheerfulness. Thanks perfume, every woman will be able to win the heart of men. The original bottle of perfume was created specifically for the ladies of the sea breeze and waves. Perfume Jennifer Lopez Blue Glow talks about the mystery of stellar summer nights, romantic rendezvous on the beach and the warm sun. Fragrance perfume turned out not cloying and sweet thanks to the base notes consisting of a combination of sandalwood and oak moss. Eau de Toilette Jennifer Lopez Blue Glow opens her heart to the composition of roses, orchids and water lines. The final chord of fragrance are fresh notes of orange and a mongoose. Perfume became a wonderful gift from Jennifer Lopez for stylish young lady. And nothing will prevent you buy perfume Jennifer Lopez Blue Glow perfumes in our store. Remember, quality perfumes able to immerse you in positive emotions, which are so lacking in today's world. Aroma is a family fruit and floral and creates the effect of skin contact with the warm beach sand. JLO Blue Glow combines the fruit tones with light notes of orange trees bloom, fragrance the water lilies and other flowers. Perfume bottle itself reminds curving lines of the body of their creator.